Video game consoles, as we know them, are coming to an end. Game consoles used to last something like six to 10 years, and the best, most impressive games often arrived at the tail-end of that span. When “God of War 2” came out in 2007 for the PlayStation 2, for instance, the PlayStation 3 had been on sale for a year. The game was as good or better looking than most games on the newer PlayStation 3 and Xbox 360. 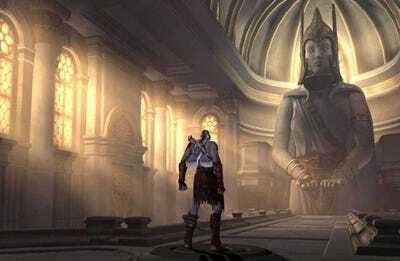 Sony Santa Monica‘God of War 2’ is a notoriously pretty, fantastic PlayStation 2 game that came out after the PlayStation 3 launched. The deal was simple: Buy a video game console for a few hundred bucks, and depend on it getting a steady supply of games across the majority of the next decade. But with smartphone technology advancing dramatically every year, and PC gaming becoming more accessible than ever, console-makers like Microsoft, Sony, and Nintendo have failed to keep up with what buyers want. Simply put: Game console buyers demand stronger game consoles, and game console makers are answering that demand with new, more powerful consoles much sooner than expected. In 2017, Microsoft plans to launch a new, much more powerful version of the Xbox One. It’s codenamed Project Scorpio, and if all goes according to plan it will arrive just four years after the original Xbox One launched. In 2016, or maybe 2017, Sony plans to launch a new, more powerful version of the PlayStation 4. It’s codenamed Neo, and if all goes according to plan it will arrive either three or four years after the original PlayStation 4 launched. In 2017, Nintendo plans to launch a new, more powerful game console to succeed its Wii U. It’s codenamed Nintendo NX, and if all goes according to plan it will arrive just five years after the Wii U launched. Of course, you don’t actually need to buy any of these new game consoles. In the case of both the more powerful Xbox One and the more powerful PlayStation 4, the respective makers promise that all future games will work on both the original Xbox One and the original PlayStation 4. Allow me to be extra clear here: All Xbox One games that you already own, including Xbox 360 games, will work on Project Scorpio; all PlayStation 4 games that you already own will work on PlayStation 4 Neo. Any games released on those new systems will also work on the older versions. Sony Interactive Entertainment CEO Andrew House (the guy in charge of PlayStation) told the Financial Times that PlayStation 4 “Neo” is “intended to sit alongside and complement the standard PS4.” It will run the same games, and do the same stuff — it’s just capable of producing higher graphical fidelity in its games. Microsoft put out similar messaging around the announcement of Project Scorpio. “Project Scorpio will join the Xbox One family and coexist alongside Xbox One and Xbox One S and all of your Xbox One games and accessories are compatible,” the announcement says. This is a crucial component of the death of normal game console cycles. It means that console makers like Sony and Microsoft could move to a more smartphone-like model, with upgrades coming out every few years. It means that, instead of a PlayStation 5, Sony puts out several versions of the PlayStation 4 that eventually evolve into the PlayStation 5. It means there could be a much more fluid concept of game platforms, more similar to something like a MacBook than a traditional game console. In the case of Nintendo, however, things are less clear. 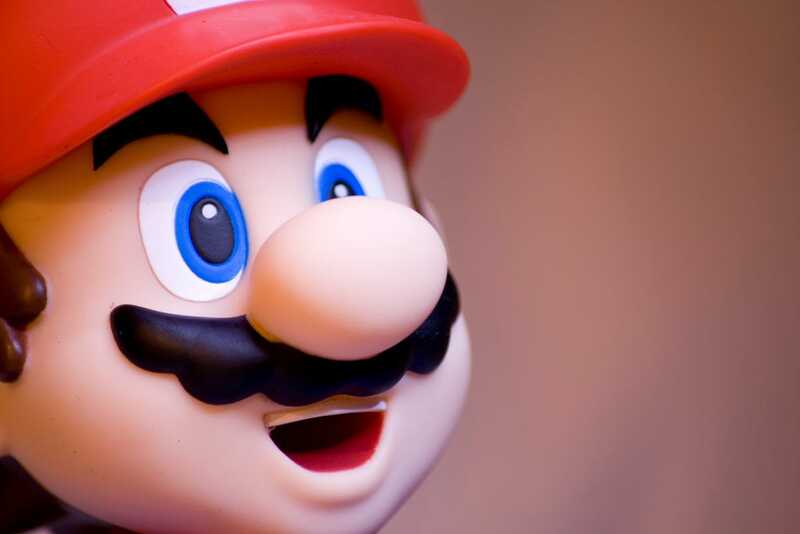 Just look how confused poor Mario is. We don’t know how powerful the NX system is, what it looks like, or much else. We do know one thing: it’s very much intended to outright replace the Wii U, Nintendo’s worst-selling game console of all time. That could mean it’s an isolated platform, like the Wii U, rather than the malleable platforms that the Xbox One and PlayStation 4 are becoming. Nintendo is making at least one overture toward that type of thinking with the Nintendo Account system. The idea with that system is you’ll carry one profile between Nintendo’s new mobile gaming efforts on your smartphone, the upcoming Nintendo NX, and whatever other Nintendo devices that may be in the works. Whatever Nintendo does, we’re already moving toward a new paradigm where the traditional agreement between console makers and console buyers is going to change dramatically. Prepare your bank accounts accordingly.